Today, the worlds of Autism and Research join a family in mourning the loss of Lois M. Black, Ph.D. Last night, shortly after 8pm (15 October, 2011), Lois Black; wife, mother, researcher, and lover of Siberian Cats; passed away, ending her battle with lung cancer. Dr. Black, Lois to many, had a long track record of working to make the world a better place. Together with her husband, Professor Jan van Santen, Dr. Black worked on research that aimed to make the world a better place, especially for those who had a hard time finding their place in it. I glimpsed just a little of this through participation in one of her studies, and through my efforts as an Autism advocate. She once told me that she wished she could do more with schools, like she used to, and dreamed of a place she could host events to raise money for the causes she believed in so fervently. When we talked, she spoke passionately, and with such tremendous depth of knowledge, especially about Autism, I was always inspired. No conversation was ever brief, and I could have listened forever, even if I found myself stretching my brain just to keep up with her (which was most of the time). Nothing I write here could ever do her justice, and nothing, not even her CV (which you can find below) could ever begin to describe Lois Black. The picture above, however, is how I will remember her : a smiling, gentle soul. And if there is a lesson to be taken from her passing, it is simply to seize the day, to make the most of every minute, and not put off until tomorrow, working towards the dreams we have today. You will be missed, Dr. Lois M. Black. 1997-2011 Advisory Council Member and Training Faculty, Interdisciplinary Council on Developmental and Learning Disorders (ICDL), Bethesda, Maryland. 1991-1994 Faculty Instructor and Supervisor. Postgraduate Center for Mental Health, Clinic for Child, Adolescent, and Family Services, New York, New York. 1988-1990 Neuropsychologist / Clinical Psychologist. North Shore University Hospital, Department of Neurology, Division of Neuropsychology, Infant-Toddler Development Program, Westbury, New York. 1985-1988 Neuropsychological Evaluator and Researcher. Department of Neurology, Division of Neuropsychology, North Shore University Hospital, Preschool Development Program, Westbury, New York. 1984-1985 Neuropsychology Intern. Department of Neurology, Division of Neuropsychology, Center for Neuropsychological Services, North Shore University Hospital, Manhassett, New York. 1983-1984 Clinical Psychology Intern. Queens Children’s Psychiatric Center, Bellerose, New York. 1982-1983 Psychotherapist and Psychodiagnostician. The Mount Sinai Hospital, Communication Disorders and Learning Disability Units, New York, New York. 1982-1983 Neuropsychological Evaluator. The Mount Sinai Hospital, Neurosurgery Unit, New York, New York. 1980-1982 Co-Director. The Margaret S. Mahler Observational Nursery, Graduate Faculty, New School for Social Research, New York, New York. 1974-1978 Teaching Assistant. Philosophy Department, University of Konstanz, Konstanz, West Germany. Co-Principal Investigator In Your Own Voice: Personal Augmentative and Alternative Communication Voices for Minimally Verbal Children with Autism Spectrum Disorders, Nancy Lurie Marks Family Foundation, 2008-2009. Investigator Automated Measurement of Dialogue Structure in Autism, Autism Speaks, 2008-2010 (Brian Roark, PI). 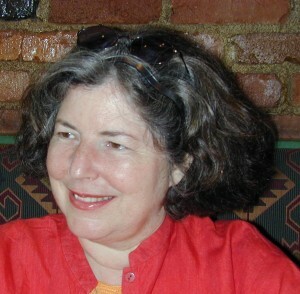 Investigator Comparing Standardized and Spontaneous Measures of Language, Mentor to Amy Constanza Smith, Medical Research Foundation, OHSU, 2008. Investigator Expressive and Receptive Prosody in Autism, National Institutes of Health, January, 2005 – December, 2009. Co-Principal Investigator Novel Computerized Behavioral Assessment Methods for Attention Deficit Hyperactivity Disorder, OHSU Foundation, February, 2005 – January, 2006. Psychologist Prosody Generation for Child Oriented Speech Synthesis, National Science Foundation, August 2002 – July 2007. Investigator Use of Enhanced Prosody to Improve the Comprehension and Retention of Verbal Information in Children with Autistic Spectrum Disorder, Oregon Medical Research Foundation, Oregon Health & Science University, June1 2003 – May 31, 2004. Member of Advisory Council The Interdisciplinary Council on Developmental and Learning Disorders (ICDL), Bethesda, Maryland. Member American Psychological Association (APA): Division of Neuropsychology and Division of Psychoanalysis. Member New York State Psychological Association (NYSPA). New School Scholarships for Philosophy and Clinical Psychology Studies. German translator (Gestalt Psychologists: Max Wertheimer, Wolfgang Koehler), Graduate Faculty New School for Social Research, 1979-1981. Black, L., van Santen, J., Coulston, R., de Villiers, J. (2009). “Vocal Prosody in Autism: Understanding the Effects of Enhancing Vocal Prosody on Children’s Comprehension and Retention of Story Narratives.” International Meeting For Autism Research 2009, Chicago, IL. Black, L., van Santen, J., Coulston, R., de Villiers, J., Paul, R. (2009). “Processing of Affective Information in Face, Voice, and Situational Contexts in Children with Autism Spectrum Disorders.” International Meeting For Autism Research 2009, Chicago, IL. Tucker Prud?hommeaux, E., van Santen, J., Black, L. (2009)’ “Automated Acoustic Analysis of Affective and Pragmatic Prosody in ASD.” International Meeting For Autism Research 2009, Chicago, IL. Tucker Prud?hommeaux, E., van Santen, J., Black, L. (2009)’ “Automated Identification of Stress and Focus Assignment.” International Meeting For Autism Research 2009, Chicago, IL. van Santen, J., Tucker Prud?hommeaux, E., Paul, R., Black, L., Shriberg, L. (2008). “Expressive prosody in autism: Effects of prosody function and processing demands.” International Meeting For Autism Research 2008, London, UK. Black, L., van Santen, J., Coulston, R., Paul, R., de Villiers, J. (2008). “Effects of enhanced prosody on narrative recall in children with autism.” International Meeting For Autism Research 2008, London, UK. van Santen, J., Tucker Prud?hommeaux, E., Paul, R., Black, L. (2008). “Automated measurement of expressive prosody in neurodevelopmental disorders.” International Meeting For Autism Research 2008, London, UK. van Santen, J., Paul, R., Black. L.M., Tucker, E. (2007). “Quantitative Analysis of Grammatical and Pragmatic Prosody in Autism Spectrum Disorder.” International Meeting For Autism Research 2007, Seattle, Washington. Black, L.M. & van Santen, J.P. “Neuropsychological Subtyping of Developmental Language Disorders.” Proceedings of the International Neuropsychological Society. University of Zurich, Switzerland, July, 2006. Black, L.M. & Stefanatos, G. “Neuropsychological Assessment of Developmental and Learning Disorders.” Clinical Practice Guidelines, Bethesda, Maryland: ICDL Press. November, 2000 (see www.icdl.com). Black, L.M. “Regulatory Disorder. Type I: Hypersensitive. The Fearful and Cautious Child.” Casebook for 0-3: Diagnostic Classification of Mental Health and Developmental Disorders of Infancy and Early Childhood, Washington, D.C.: Zero to Three, 1997. Stefanatos, G.A. & Black, L.M. “Contributions of Neuropsychological Assessment to the Diagnosis and Treatment of Developmental and Learning Disorders. The Journal of Developmental and Learning Disorders, Vol. 1, Nr.1, 1997. Black, L.M. The Interweaving of Neuropsychological Dysfunction and Psychological Conflict. Zero to Three, February/March 1995, Vol.15, No.4, pp.25-35. Black, L.M. Affect Processing Problems of Pre-school Language Disordered Children. Journal of the International Neuropsychological Society (JINS), Vol.1, No.4, July, 1995, p.378. Black, L.M., Subtypes of Language Disordered Children at Risk for Social-Emotional Problems. (Doctoral Dissertation, New School for Social Research, 1988). Dissertation Abstracts International 1989, 50-3B; University Microfilms International, No.8910782. van Santen, J.P.H., Black, L.M., Wilson, B.C. & Risucci, D. Modeling Clinical Judgment: A Reanalysis of Data from Wilson and Risucci’s (1986) Paper: “A Model for Clinical-Quantitative Classification. Generation I: Application to Language Disordered Preschool Children.” Brain and Language, 46, 469-481, 1994. Black, L.M. & van Santen, J.P. “Autism Research at the Center for Language Understanding (CSLU),” Beaverton School District, Coordinators of Special Education Services, Beaverton, Oregon, November, 2007. Black, L.M. “Ways of Understanding Autism: Neurobehavioral Phenotypes,” OHSU Brain Institute: Brain Research Awareness & Information Network (BRAINet): Matters of the Mind, Portland, Oregon, August 15, 2007. Black, L.M. “Neurobehavioral Phenotypes in Autism: Applications to Research and Intervention within a DIR Framework,” Plenary Session: Neuroscience & DIR, DIR Summer Training Institute, Asilomar, California, July, 2007. Black, L.M. “Integrating Neuropsychological & Psychodynamic Approaches in Evaluating and Treating Children,” Oregon Psychological Association (OPA), Annual Conference, Eugene, Oregon, May 12, 2007. Black, L.M. & van Santen, J.P. “Neuropsychological Subtyping of Developmental Language Disorders.” Presentation made at the International Neuropsychological Society. University of Zurich, Switzerland, July, 2006. Black, L.M. “Prosody in Autism.” Course presented at the ICDL Summer Training Institute, Landsdown, Virginia, July 2005, July 2006. Black, L.M. “Neuropsychological Assessment Within the Framework of DIR.” Course presented at the ICDL Summer Training Institute, Landsdown, Virginia, July 2002, July 2006. Black, L.M. and van Santen, J.P. “Expressive and Receptive Prosody in Autism.” Presentation at the Child Development & Rehabilitation Center, OHSU, Portland, Oregon, May, 2005. Black, L.M. together with Becker-Lewin, M., Gerber, S., Madell, J , Rottersman, J., Shanook, R.S.S., Strauch, C , Winn, L. “Interdisciplinary Assessment: Steps toward Intervention Planning for Children with Challenges in Relating and Communicating.” Conference presentation at “Autism Spectrum Disorders: Best Practices for Infants and Young Children with Severe Difficulties in Relating and Communicating,” New York University, March 16, 2001. Black, L.M. “An Integrated Neuropsychological-Psychodynamic Approach to Working with Children.” Child Grand Rounds, the New York-Presbyterian Hospital, Westchester Division, January 31, 2000. Black, L.M. “Position Paper on Assessment and Treatment of ADHD.” New York State Psychological Association, Task Force on Managed Care, August, 2000. Black, L.M. together with V. Alfonso, R. Grant, B. Kucera, T. McMath. “The Role of the Psychologist in Entitling Children to Intervention Services.” Moderator of Panel Discussion, the New York Association of Early Childhood and Infant Psychology, Pace University, February 21, 2000. Black, L.M. “An Approach to the Neuropsychological Assessment of the Child-In-Context: Uncovering Disabilities through Integrated Neuropsychological-Psychodynamic Evaluation.” Invited Lecture for the Institute for Infants, Toddlers, and their Families, New York, N.Y. March 23, 1999. Black, L.M. “Integrated Neuropsychological Assessment: Uncovering Disabilities through Neuropsychological-Psychodynamic Evaluation of the Child in the Context of his World.” Paper presented at the conference “Re-Visioning Assessment of Infants and Young Children,” New York University, October, 1999. Black, L.M. together with Becker-Lewin, M., Gerber, S., Madell, J , Rottersman, J., Shanook, R.S.S., Strauch, C , Winn, L.,. “An Interdisciplinary Get Together: Sharing Knowledge and Experience to Support Young Children with Developmental Disorders.” Presentation for the New York Zero-to-Three Network, New York, N.Y., November, 1998 and at “Re-Visioning Assessment of Infants and Young Children,” a conference at New York University, October, 1999. Black, L.M. “Hidden Disabilities and Emotional Problems in the Young Child.” Workshop presented at the 42nd Annual Conference of The Association of Teachers in Independent Schools in New York City and Vicinity (A.T.I.S. ), The Trinity School, New York, March 3 1997. Black, L.M. “Identification of the At-Risk Preschooler – A Neuropsychological Approach for Identifying the Preschool Child at Risk for Dyslexia and Other Learning Disabilities.” All Day Workshop presented for the Orton Dyslexia Society, New York Branch, February 1, 1997. Black, L.M. “Detecting Hidden Disabilities in Preschoolers: An Integrated Neuropsychological-Psychodynamic Approach.” Workshop presented at the conference “New Directions in Preschool Assessment,” Brooklyn College, April 26, 1996. Black, L.M. “Integrating Neuropsychological and Psychodynamic Approaches in Working with Children: Three Case Studies.” Pre-conference Training Workshop presented with Stephen Seligman, D.M.H., American Psychological Association Division 39 Meeting, New York, New York, April 17, 1996. Black, L.M. “An Integrated Neuropsychological-Psychodynamic Approach to Assessing Language Disorders in the Very Young Child.” Grand Rounds. The Stanley S. Lamm Institute for Child Neurology and Developmental Medicine. The Long Island College Hospital. Brooklyn, New York, January 2, 1996. Black, L.M. “Nonverbal Learning Disabilities: Identification and Intervention Strategies,” Presentation for the Summit School, Queens, New York, September 18, 1996. Black, L.M. “Hidden Disabilities and Emotional Problems in the Young Child.” Workshop presented at the 4th Annual Conference of The Association of Teachers in Independent Schools in New York City and Vicinity (A.T.I.S. ), New York, March 6, 1995. Black, L.M. “The Interweaving of Neuropsychological Dysfunction and Psychological Conflict.” Paper presented at Conferences of Zero to Three. National Center for Clinical Infant Programs. Dallas, Texas, December 3, 1994 and Washington, D.C., December 4, 1993. Black, L.M., “Fighting Fran and Shy Sam: The Young Child Living with a Hidden Disability.” Workshop presented at the 39th Annual Conference of The Association of Teachers in Independent Schools in New York City and Vicinity (A.T.I.S. ), New York, March 7, 1994. Black, L.M. “Affect Processing Problems of Preschool-Aged Language Disordered Children.” Paper presented at the 22nd Annual Meeting of the International Neuropsychological Society. Cincinnati, Ohio, February 4, 1994. Black, L.M. “Recognizing A Hidden Disability in the Young Child Presenting with Emotional and Behavioral Problems.” Paper presented at The Postgraduate Center for Mental Health, New York City, April 28, 1993. Black, L.M. “Neuropsychological Subtypes of Developmentally Language Disordered Children: Problems in Affect Discrimination and Emotional Adjustment.” Presentation at the 14th Annual Conference of the New York Neuropsychology Group, New York City, April 3, 1993. Black, L.M. & Wilson, B.C. “Emotional Problems and Neuropsychological Profiles of Preschool-Aged Children with Developmental Language Disorders.” Presentation at the 43rd Annual Conference of the Orton Dyslexia Society. Cincinnati, Ohio, November 21, 1992. This entry was posted in Autism Activities, New!, News and Updates, Research, Westside Family and Community Center. Bookmark the permalink.